Have you been looking for that unique Bull Terrier theme gift for your friends or yourself? 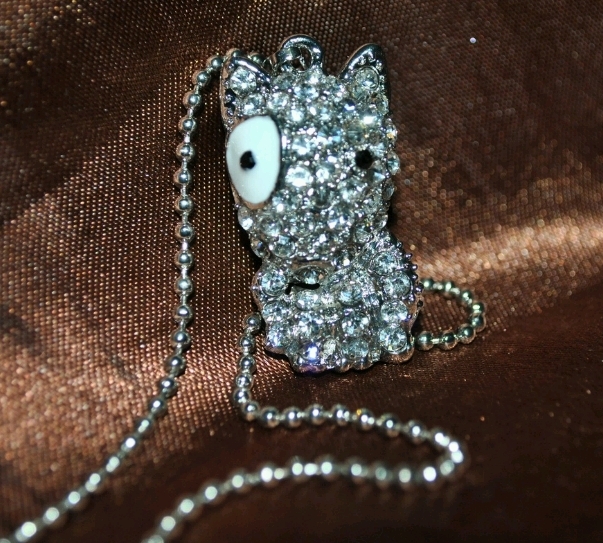 Here's a Pendant with a cute Bull Terrier design that's studded with dazzling Rhinestones. What's more the chain is included in this ready to wear dog themed design.